Well, it has been quite a bit of time since I’ve been able to write about #RPGaDAY. Truthfully, I was busy laying out roleplaying game books and other miscellany. One of these projects was Unknown Armies, which has a group setting and character creation section that’s really fun, which leads into this day’s question about the role of a GM in your games. I started gaming in the 1980’s. Back then, the way to play roleplaying games was you players were just that: playing in the GM’s story. The person making up the game world and the story was a Dungeon Master or a Game Master. That guy was never referred to as a “player”. Most games didn’t allow for any player to affect the world except for reacting. But there were little bits of games that broke into that story. 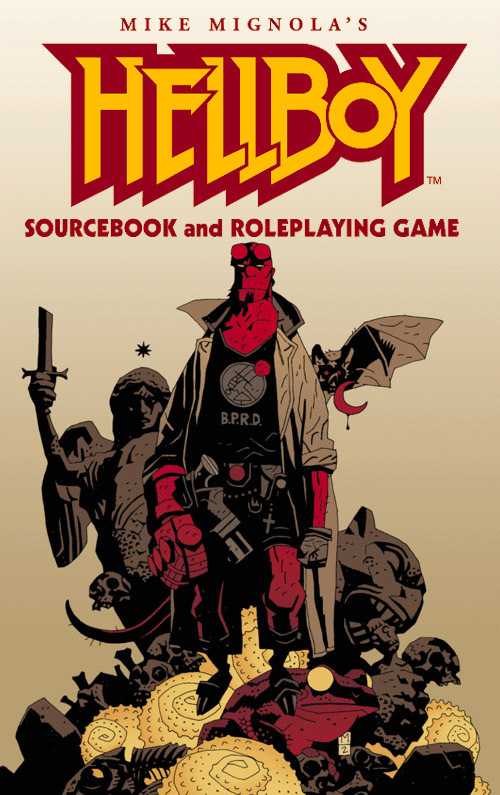 I remember Twilight: 2000, Ghostbusters, and that GURPS Hellboy game all tweaking things. Granted, in those they were all still the GM’s story and the players could spend some sort of precious resource to say there’s a brick on the ground of an alleyway. It’s like game designers wanted to give the players some way to influence the game world, but feared that they’d disrupt the thing the GMs spent all this time on. It took me a while to get to a place where I loved stuff like that. Those games with the GM narrating everything and the players just doing things in reaction where absolutely fine for my early years of gaming, because that was the only thing that I knew. We were all teenagers. As the GM, we had ideas of how the overall plot was going to go and we wouldn’t let them derail our train of awesome. Why? There was the min-maxer, who wanted to win at D&D. There was the guy that just wanted his character to fight everything he saw. There was the kid that wanted to make a Monty Python joke at every opportunity instead of playing his psionicist gnome illusionist/assassin/priest accurately. In short, we didn’t trust the people around the table. Which is strange, as these are (supposedly) friends we’re allowing into our houses on a weekly basis for hours at a time. These are people gathering to create a narrative to share with one other. Together, we’re creating a type of entertainment that’s impossible to replicate in any other medium1. Why would we not want the other people around that table to provide input to the game? I think it was a game day session of InSpectres that first really hit that home. Around the table were friends. The rules had the players narrate the resolution of a conflict. I love that stuff. I started using that technique in other games. The example I keep coming back to was the one from Shadowrun when I asked Ben about an NPC that just showed up. She hated his character, why? His answer was something I would have never thought of and it told me what type of conflict he wanted with this new person. Instead of something like “she dislikes Ben’s character because he got a promotion she wanted”, Ben gave me an answer that was central to his character’s core. So yes, in my games, I really prefer to blend that GM/player divide.